Kevin is the ancestor of a group of killers. His maneuverabililty and endurance are unmatched. His relatives have either been killed or scattered into hiding, leaving him alone to fend for himself. Without a salary, he's must mug for a living. 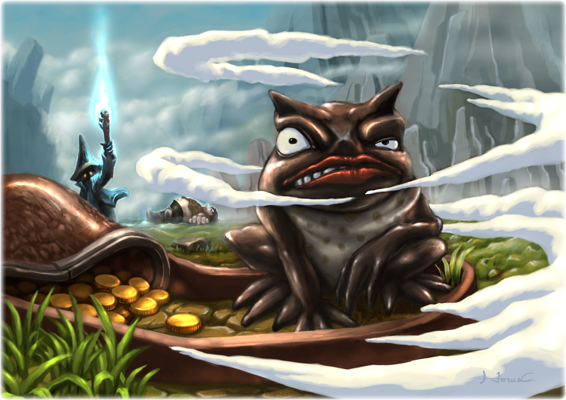 One day, in the process of mugging his victim, a powerful wizard appeared and turned him into a frog. This wizard then took the frog to the Fantasy Hero Institute. Before leaving, the wizard changed him back to into a person but also tattooed three Chinese characters "壞孩男" on the back of his head. The words "bad boy" tatoo would stay with him until he found his path to "good".